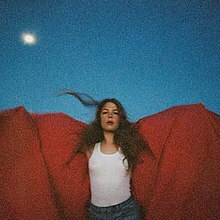 Singer-songwriter Maggie Rogers caught the ear of super producer Pharrell Williams while she was still a student at NYU. Video of her playing her song, "Alaska" for Williams, and his emotional reaction, went viral in 2016, putting Maggie on many listeners' radars. Jim and Greg hoped that her new album, Heard It in a Past Life, would have more of the unique blend of folk and electronic beats that“Alaska”offered, but Greg laments that the album's heavy handed big label production by the likes of Greg Kursten and Ricky Reed is like“putting extra icing on a cake that's already perfect.”A highlight for Greg is the introspective "Past Life" because it's just Maggie accompanied by the piano“and the producers don‘t screw it up.”Jim goes one step further, adding that he thinks the record“is all icing.”He cannot relate to the album sonically, or to the album’s message.